The arctic is in big trouble. Temperatures have been regularly 3 – 4 degrees C above average all winter, extent is at record lows, and, worst of all, there is no volume to speak of. Thanks for the links and references here, DJ. ASIF is a big favorite of mine and I highly recommend it for those who want to take a deep dive into learning about the changing Arctic environment. Yikes. That’s 78.8 F above average. “The winnowing streamers of cold air driven out over places like the U.S. Northeast are just a side effect of the overall warming trend” repeat, repeat, repeat. I’ve been trying different angles on this one. Hopefully something will stick. Many meteorologists seem hyperfocused on whatever cool pool develops, but for whatever reason don’t mention the global or Arctic contexts. That said, some major pubs ARE starting to point out that context. This is to their credit. 1.5 C in five years? For a single year, perhaps… This would be pretty rapid, IMO. Bad news as well. Worth noting that 2016 was 1.22 C above 1880s. If they’re using a base line that’s further back, then it was closer to 1.3 C. A 0.2 C jump in just 5 years after the large jump we’ve already experienced would be a little outside of the present trend. If the present trend holds you’re looking more at 2025 to 2035. It would also require a pretty strong El Nino. Of course, the Met may be banking on an acceleration in atmospheric temperature increased due to continued positive PDO increased rates of heat forcing accumulation, etc. Will give this a read and a think. Just want to add that the above is my own speculation/shared thoughts as part of an evolving and moving understanding of the present issue. Not meant to be taken as the final word in any respect. The Met is saying that there’s a 10 percent chance we hit 1.5 C by the early 2020s with a 90 percent confidence that we hit around 1.3 to 1.4 C over the same period. That looks about right to me. Likely we are about two El Ninos away from 1.5 C. Could be 1, could be 3. Looks like we’re pretty much locked in to an ultimate 1.5 degree increase this year according to the Mercator Research Institute, using their middle of the road probability estimate. Of course, this is just saying we’ve added enough radiative forcing to ultimately take us to 1.5C, rather than predicting when we actually reach that threshold. I hate the way the mainstream media essentially fools people into thinking limiting global warming to 1.5 is a realistic goal, when we’re on track to go way past that…. Halting fossil fuel burning as soon as possible gives us the best chance of missing 2 C. 1.5 C is probably a lock within 5-17 years. Maybe a bit longer if we very rapidly respond. But we are not yet on a pathway that’s set to slow the present rate of warming at 0.15 to 0.20 C per decade. And whether we avoid some acceleration (0.20 to 0.25 C per decade or a bit more) is dependent on us rapidly plateauing carbon emissions and getting reductions soon. Each year of delay pushes a high bar higher. SACRAMENTO — Insurance claims from last year’s deadly California wildfires have reached $11.8 billion, making it the most expensive series of wildfires in state history, an official said Wednesday. Until last year, California’s most expensive single fire was the 1991 Oakland Hills fire that prompted $2.7 billion in claims in today’s dollars, according to data from the Insurance Information Institute…. I think we’re kinda stuck in freeze mode (as in fight, flight or freeze) when it comes to climate change damage assessments right now. 2017 was so bad for the U.S. RE climate that we’re just beginning to take stock. It doesn’t help that the republican party and Trump are doing their best not to respond to the various climate change related disasters in certain areas. Head in the sand denialism by that party is leading to the abandonment of certain regions to both climate change and to the ravages of vulture capitalists. There is also this cloud of constant distraction that appears to cover up reporting on the issue. It’s pretty bad. But it’s what many of us expected if republicans were again in power. I think it will take many months or years for people to come to grips with all that’s happened. The problem for us as a civilization is that we are facing a higher likelihood of more of these events continuing to come down the pipe. To be effective, we need both a change in leadership (republicans to democrats) and a whole lot more after that. Fire season never ended, it appears be be turning into a year round danger. We had extreme fire danger warnings last week (mid January). Some potentially good news . I would imagine that such a vessel, when leveraging batteries, wind, and solar, would have practically unlimited range and power capabilities. Amazing. Tweet confirming new berg suggesting near a new rift which may result in more calving soon. Gif shows calving and shows rift not visible on EOSDIS Worldview. As this is one of the proverbial canaries in the coal mine and a potential cause of a substantial sea level rise I find this change extremely worrying. Certainly worthy of a lot of investigation and if a rapid retreat is commencing then consideration of a geo-engineering mitigating, sand and boulder bars on the sub-sea surface to limit ingress of warmer waters is a possible priority to slow the change. It’s a swirling maelstrom of gigantic floating ice shards. Something to factor into larger instability features, I would think. That said, probably shouldn’t be overstated either. BAS In a study in 2016 revealed that the thining of the glaciers ice shelf started by 1945 but that for 68 years calving resulted in large bergs that returned the ice shelf to its starting point. 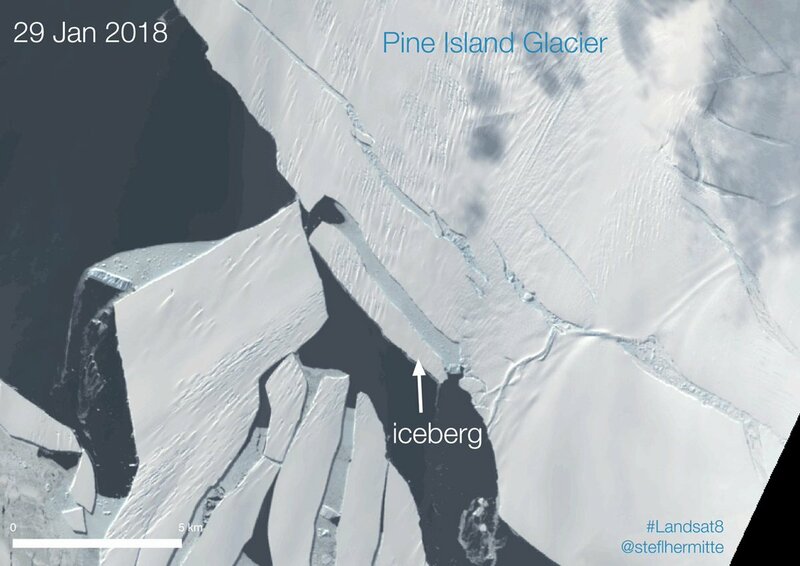 Pine Island Glacier (PIG) is the fastest melting glacier in Antarctica—one that’s responsible for a quarter of the frozen continent’s ice loss, around 45 billion tons of ice each year. This accounts for 10% of sea-level rise worldwide. Any change in this glaciers behaviour, or its neighbours is important as with a retrograde bed there is a potential for a runaway break-up of the PIG (Thwaites etc also). This is a back door into the heart of the west Antarctica and a potential 3-5metre sea-level rise. The behaviour has now apparently changed. So while we need a lot more research in this isolated area, which is difficult and expensive, we can also start to plan for action to mitigate any melt to delay it while we try to put CO2 emissions on a downward and hopefully eventually in a negative path. So far no significant change in the long term SLR rate since the 1990s (3.3 mm per year as opposed to 3.1 mm per year circa 2010). Although if this trend continues, we should start to see a few bumps. I think a rational net removal from both land management and active atmospheric carbon capture could realistically aim for around 1 billion tons carbon per year. Enhanced weathering and other means could add to it. It’s a part of the solution. It can’t be the only solution, however. We really need to stop emitting carbon first. Otherwise all other responses are basically moot. Worth noting that there’s a big push for solar radiation management coming again. In short, it’s harmful stopgap that doesn’t address all issues from carbon emission and creates serious problems all its own. Again, yet one more reason why carbon emission reduction should be prioritized as #1. As the scientists say, it is no silver bullet. It is back to Kevin Anderson’s point that it was a cop out to rely on it at Paris. At least this work puts more meat on the bone, even if the news is mainly bad. On geo-engineering, we are already doing it in a way. that’s why it’s the Anthropocene, but it is going to take a very brave government/s to actually start throwing giant umbrellas about. As RS says, emission reductions are the focus. Hats off to you Robert, it’s a great body of work you have here, a real credit to your nation. Producing good work in the teeth of a roaring gale of denial, even if that is starting to ease off, is no easy thing. ‘Geostorm’. Ridiculous, science- and story-wise, however the basic concept of global weather modification on display may be of interest vis-a-vis how it’s promoted therein as a saviour. I thought that the early date and low maximum last year was bad enough, but this threatens to “better” both this year. We will be very fortunate if we get another cold summer which saves us from another record low in September. So the regime appears to have shifted to cloudy summers in the Arctic. This might, and I emphasize might, buy us a little time on the summer side. That said, what happens in winter (and there’s quite a lot going on) is probably what ultimately ends up tipping the scales. 10 percent chance. More likely during El Nino #2 following the 2015-2016 event. Say, 8-12 years at highest probability with the 90 percent confidence interval covering the range of 5-17 years. BCJ, are you familiar with Don Joyce? He came up with the term ‘culture jamming’. Adbusters get it from him. Don died a few years ago. “…With climate change shrinking ice cover around the world, glacial archaeologists are racing the clock to find these newly revealed artifacts, preserve them, and study them…. “Fieldwork is hard work—hiking with all our equipment, often camping on permafrost—but very rewarding. [You’re] rescuing the archaeology, bringing the melting ice to wider attention, discovering a unique environmental history and really connecting with the natural environment,” said Barrett…. …Barrett and his colleagues radiocarbon dated 153 of the artifacts and compared those dates to the timing of major environmental changes in the region—such as periods of cooling or warming—and major social and economic shifts—such as the growth of farming settlements and the spread of international trade networks leading up to the Viking Age. They found that some periods had produced lots of artifacts, which indicates that people had been pretty active in the mountains during those times. But there were few or no signs of activity during other periods. The most surprising thing, according to Barrett, was the timing. Oppland’s mountains can be daunting terrain at the best of times, but in periods of extreme cold, glaciers could block the higher mountain passes and make travel in the upper reaches of the mountains difficult. Archaeologists would have expected people to stick to lower elevations during a time like the Late Antique Little Ice Age, a short period of deeper-than-usual cold from about 536-600 CE. But it turned out that hunters kept regularly venturing into the mountains even when the climate turned cold, based on the amount of stuff they had apparently dropped there. “Remarkably, though, the finds from the ice may have continued through this period, perhaps suggesting that the importance of mountain hunting (mainly for reindeer), increased to supplement failing agricultural harvests in times of low temperatures,” said Barrett. A colder turn in the Scandinavian climate would likely have meant widespread crop failures, so more people would have depended on hunting to make up for those losses. “…today there is nowhere to turn. The wild lands and rich ecosystems that once supported hunter gatherers, nomads and the refugees from imploding early states who joined them now scarcely exist. Only a tiny fraction of the current population could survive a return to the barbarian life. (Consider that, according to one estimate, the maximum population of Britain during the Mesolithic, when people survived by hunting and gathering, was 5000).In the nominally democratic era, the complex state is now, for all its flaws, all that stands between us and disaster. All the national news reports tonight I hear post the recent storm here include mention of climate change as a contributing factor. I’ve never heard it quite so clearly stated so soon after a major weather event before!!! Good news within the bad. “In October, the Ministry for the Environment released a report concluding that some climate change impacts in New Zealand were locked in and irreversible. Those impacts are helpfully listed in the recently released ‘Adapting to Climate Change in New Zealand’ draft report, written by a technical group advising the Government. Among them are stronger ex-tropical cyclones; more frequent extreme rainfall events, particularly in the west; more frequent fires, particularly in the east; higher storm surges and increased coastal erosion, and more days with extreme high temperatures. Long piece, likely of interest to readers here. ‘Can Planet Earth Feed 10 Billion People? So the age old question still goes unanswered. The fossil fuel spin offs (Monsanto, Bayer, Cargill, etc.) are working hard with someone else’s money to show they can do it better, so long as you don’t count the externalities or the tax incentives. Nevertheless, the analysis of the compiled studies demonstrates that, in the majority of cases, organic systems are more profitable than non-organic systems. There are wide variations among yields and production costs, but either higher market price and premiums, or lower production costs, or the combination of these two generally result in higher relative profit in organic agriculture in developed countries. The same conclusion can be drawn from studies in developing countries but there, higher yields combined with high premiums are the underlying cause for higher relative profitability. Finally, this paper draws attention to the fact that existing economic comparisons are heavily biased becaused they do not internalize externalities neither account for the the fact that non- organic farms receive higher governmental support and better research and extension services. This paper argues that the profitability of a farming system must balance economic costs against environmental, social and health costs, as these costs have delayed impacts and indirect implications on farm economics. Generally it is hard to conclude that one system is more profitable than the other – it depends on site and crop specific factors, availability of marketing opportunities, labour availability, agronomic factors, etc. Several variables could impact overall farm performance, thus a multi-disciplinary approach that involves the whole farm (with livestock operations if there are) and takes into account the management skills and objectives of the farmers is a more favourable option. Dozens of studies have been analyzed in terms of their research on farm profitability, and though methodological differences prevent us from comparing them systematically, the similarities between the studies from many countries and contexts allow us to draw some general conclusions. Profitability certainly depends on the crop choice, which of course is determined partly by environmental conditions and partly by the demand for products and available governmental programmes supporting those crops. Selection of the comparison group seems to have a strong influence on profitability. Farm size, farm type, location are all important factors in selecting the suitable candidate farms for a comparison. The availability of price premiums seem to be a crucial factor in good economic performances of organic systems and in most cases, make organic farms more profitable. However, as at least a dozen studies showed that price premiums are not always necessary for organic systems to be more profitable than conventional systems. If higher prices are not available to compensate for the organic yield loss, than financial profitability depends entirely on achieving cost reductions. Overall, the complied data suggest that organic agriculture is economically more profitable, and even though yields decrease in developed countries, higher premiums and lower production costs compensate for these losses. Increased profitability of organic agriculture very much depends on consumer demand, market prices and the availability of premiums. One of the biggest potentials to further improve the profitability of organic farms in developing countries lies in establishing organic markets for staple crops (organic soybeans, wheat, chilies, etc) that are part of the rotation; if these crops could be sold with a premium price, incomes of organic farms would further increase. In developed countries, premiums are most often available, so besides the market prices which farmers are unable to influence, the further reduction of production costs (energy, fuel, feed) and the use of better varieties (in terms of resistance, yield, etc.) could result in an increase of relative profitability in organic farms. Still to date, organic agriculture faces an unfair competition in the marketplace due to: the current subsidy schemes that favour conventional production; the unequal availability of research and extension services; and the failure to capture the real environmental, social and health externalities in market prices of conventional foods. Besides directing much more research and extension investments into organic agriculture and shifting the bulk of public support from polluting activities to sustainable practices to give an equal footing to profitability studies, such studies need to take the differences in external costs and benefits into account to capture the real and multiple profits of agriculture. We estimate the global anthropogenic phosphorus (P) loads to freshwater and the associated grey water footprints (GWFs) for the period 2002–2010, at a spatial resolution of 5 × 5 arc min, and compare the GWF per river basin to runoff to assess the P-related water pollution level (WPL). The global anthropogenic P load to freshwater systems from both diffuse and point sources is estimated at 1.5 Tg/yr. More than half of this total load was in Asia, followed by Europe (19%) and Latin America and the Caribbean (13%). The domestic sector contributed 54% to the total, agriculture 38%, and industry 8%. In agriculture, cereals production had the largest contribution to the P load (31%), followed by fruits, vegetables, and oil crops, each contributing 15%. The global total GWF related to anthropogenic P loads is estimated to be 147 × 1012 m3/yr, with China contributing 30%, India 8%, USA 7%, and Spain and Brazil 6% each. The basins with WPL > 1 (where GWF exceeds the basin’s assimilation capacity) together cover about 38% of the global land area, 37% of the global river discharge, and provide residence to about 90% of the global population. From a few weeks ago, in case anyone missed it. From hurricane and flood to deadly ice storm; Houston’s taken a beating the past few months. “…as many as seven dead, hundreds of traffic accidents, two days of lost school for 1.1 million students, countless busted water pipes, and a deepening hole in Houston’s budget. …The low temperatures forced residents – many made homeless by Harvey – to again seek refuge at emergency shelters. Alexis Lewis-McMillian, 24, who said she normally stays with her husband in a tent in an encampment near Almeda Road and Cleburne Street. By Tuesday, her sweat started to freeze, and the couple piled sleeping bags on top of their tent, to little effect. “The tent, with that weather, didn’t protect us at all,” she said. Then, Lewis-McMillian, who is more than seven months pregnant, had a seizure. She arrived at the shelter in hospital scrubs, having stopped first at a hospital. Incredibly insightful and inspirational bit by Brian Eno from 10 years ago. Adapted from his piece in the 2007 book, ‘ What Are You Optimistic About? Today’s Leading Thinkers on Why Things Are Good and Getting Better’. Things change for the better either because something went wrong or because something went right. Recently we’ve seen an example of the former, and this failures fill me with optimism. The acceptance of the reality of global warming has, in the words of Sir Nicholas Stern in his report on climate change to the British government, shown us ‘the greatest and widest ranging market failure ever seen’. If a single first instance of global governance proves successful, it will strengthen its appeal as a way of addressing other problems – such as weapons control, energy management, money-laundering, conflict resolution, people-trafficking, slavery, and poverty. It will become increasingly difficult for countries to stay outside of future treaties like Kyoto – partly because of international pressure but increasingly because of pressure from their own populations. The Internet is catalyzing knowledge, innovation and social change, and, in manifestations such as Wikipedia, proving that there are other models of social and cultural evolution: that you don’t need centralised top-down control to produce intelligent results. The bottom-up lesson of Darwinism, so difficult for previous generations, comes more naturally to the current generation. There is a real revolution in thinking going on at all cultural levels: people comfortably cooperate to play games for which the rules have not yet been written with people they’ve never met, listen to music and look at art which is emergent, not predetermined, and accept the wiki model of the open-source evolution of knowledge. Total lunar eclipse earlier this week. Eno did the soundtrack for Al Reinert’s amazing documentary from 1989 about the Apollo project, “For All Mankind.” It’s an uncommon documentary: ambient cinéma vérité. A different take to consider on this aspect of our crisis. Irukandji drifting into new territory Queensland, Australia, due to warming waters, as posted here a few weeks ago by another commentor. Meanwhiile, in the Northern Hemisphere, in Southern California, appearances of vagrant yellow-bellied sea snakes are increasing. Most recently the snake species — which is typically only found in tropical waters and never comes ashore — was discovered on a beach in Coronado in January 2016. Another one was found in December 2015 at Bolsa Chica State Beach and another was discovered on Silver Strand Beach in Oxnard in October 2015. Oxnard is the farthest north one of these snakes has ever been found, Pauly said. The first yellow-bellied sea snake to show up in California was found on a beach in San Clemente in 1972. Officials at PMMC worry that the discovery of a snake this week could signal trouble for sea lions. In 2015 and early 2016, El Niño conditions resulted in elevated water temperatures. That was also the third year of mass sea lion strandings along the California coastline. Scientists at the National Oceanic and Atmospheric Administration attributed the strandings to a warming ocean and lack of food for these marine mammals birthed by the thousands each year on the Channel Island rookeries. The mass strandings were declared an “unusual mortality event” by federal officials. PMMC rescued more than 600 sea lions that season. So far, the center has rescued 10 sea lion pups since Sept. 30 — the most recent, from an Orange County beach, on Wednesday, Jan. 10 — an increase from the same period last year, said PMMC spokeswoman Krysta Higuchi. PMMC rescued 124 sea lions for the 2017 season. The fact that the yellow-bellied sea snake was found in what climatologists are calling a weak La Niña has staff at the sea lion center and Pauly asking questions. The El Niño climate pattern results in warming water and higher surface pressures; La Niña creates colder water and lower surface pressures. Reference source for those interested in the specific topic. “The NOAA Coral Reef Watch program uses satellite data to provide current reef environmental conditions to quickly identify areas at risk for coral bleaching. Bleaching is the process by which corals lose the symbiotic algae that give them their distinctive colors. If a coral is severely bleached, disease and death become likely. In case ya missed it, a cold day in hell last month. “It’s quite a time for weird weather, and it doesn’t get much weirder than snow falling in one of the hottest places in the world. 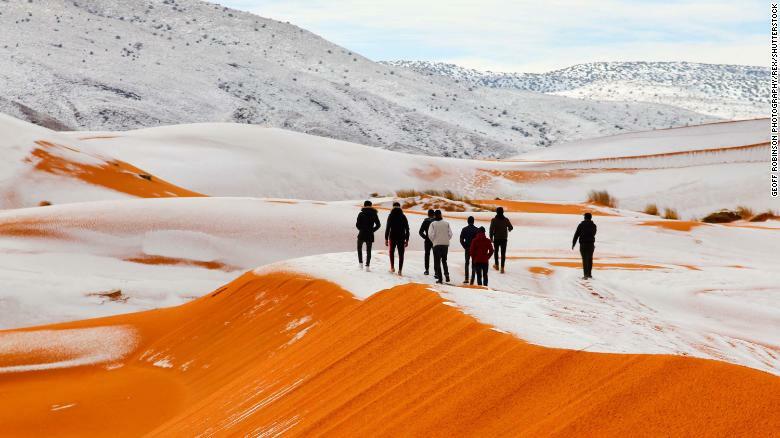 On Sunday, Ain Sefra, a desert town in Algeria known as the “Gateway to the Sahara,” experienced a substantial amount of snow for reportedly the third time in 40 years. Some reports say parts of the area got nearly 15 inches of snow, but Ain Sefra officially reported less than one inch…. …it’s not uncommon for the temperature across even the hottest of deserts to plunge tens of degrees Farenheit at night, meaning any unusual snow could stick around for a while. But photographers at the scene said the snow actually stayed intact for a good portion of the day. “…The frustrating bit about studying climate change is the inherent uncertainty of it all. Predicting where it’s going is a matter of mashing up thousands of variables in massive, confounding systems. But today in the journal Nature, researchers claim they’ve reduced the uncertainty in a key metric of climate change by 60 percent, narrowing a range of potential warming from 3°C to 1.2°C. And that could have implications for how the international community arrives at climate goals like it did in Paris. Bonus: The new numbers paint a not altogether terrifying picture of humanity’s response to a climate crisis. Hell, you might even call it vaguely optimistic. What the researchers landed on was an ECS range of 2.2 to 3.4°C, compared to the commonly accepted range of 1.5 and 4.5°C. Admittedly, 2.2 on the low end isn’t ideal for the future of our planet. (For each degree of warming, for example, you might expect up to a 400 percent increase in area burned by wildfires in parts of the western US. Very not ideal.) And the researchers say this means the probability of the ECS being less than 1.5°C—the Paris Climate Agreement’s super optimistic goal beyond the 2°C goal—is less than 3 percent. The upside, though, is they say this new estimate means the probability of the ECS passing 4.5°C is less than 1 percent. That Cox study was preceded by the Brown Caldeira study in Nature with completely different methodology and approach. They both lift the lower limit to 2.2, however the Brown Caldeira study showed that the models that most accurately represented the Satellite measured earth energy imbalance and atmospheric differentials since the advent of satellite measurement were the more extreme models placing the upper limit well over 4C. Under a high warming scenario in which large emissions continue throughout the century, the models as a whole give a mean warming of 4.3 degrees Celsius (or 7.74 degrees Fahrenheit), plus or minus 0.7 degrees Celsius, for the period between 2081 and 2100, the study noted. But the best models, according to this test, gave an answer of 4.8 degrees Celsius (8.64 degrees Fahrenheit), plus or minus 0.4 degrees Celsius. Overall, the change amounted to bumping up the projected warming by about 15 percent. A possible factor is the modulation by smog and pollution and volcanic activity. The Accord to reduce air pollution removed it’s masking effect allowing the planet to warm fairly rapidly for a few years. However late 80’s , really becoming serious from 2000 approx, China, India and Asia in general began serious industrialization and began producing increasingly copious pollution in the Northern hemisphere thus masking the global warming once again. As we know for economic, political and regime security and stability reasons, China and India especially are seeking to redress this harmful pollution which will once again reduce the masking effect. The chart on this page shows the sunspot numbers since 1749. That’s when the extensive recording of solar sunspot activity began. You can zoom in on this plot by selecting a time period that you wish to view. Every dataset can be toggled on or off by clicking on the corresponding description under each graph and it can be exported as a JPG, PNG, PDF or SVG file. No reason to be sorry; I’m not a proponent of the study; just sharing. Glad that it encouraged discussion. Thanks for the info above; helped get why Cox’ work is “vaguely optimistic”. “And Windy has stormy eyes…. A gust that blasted the summit of a peak at Alpine Meadows in February was the fastest non-tornado wind recorded in the United States in 2017. The 199-mph gust was also the fastest ever recorded in California, according to the National Climate Data Center’s Extremes Committee, which sanctioned the mark last week. For comparison, 140-mph winds have been known to pick up and hurl baseball-sized rocks. New Hampshire’s Mount Washington holds the record for fastest wind speed on U.S. soil — 231 mph. The powerful 199-mph gust whipped Ward Peak in Alpine Meadows ski resort at about 11 p.m. Feb. 20 during a fierce storm driven by an atmospheric river that pummeled the northern Sierra Nevada mountain range. Wind data can be unreliable as it’s a challenge to find instrumentation that can survive the extreme gusts, but in this case two anemometers, devices that measure wind, in the same geographical area survived the storm and had similar readings. 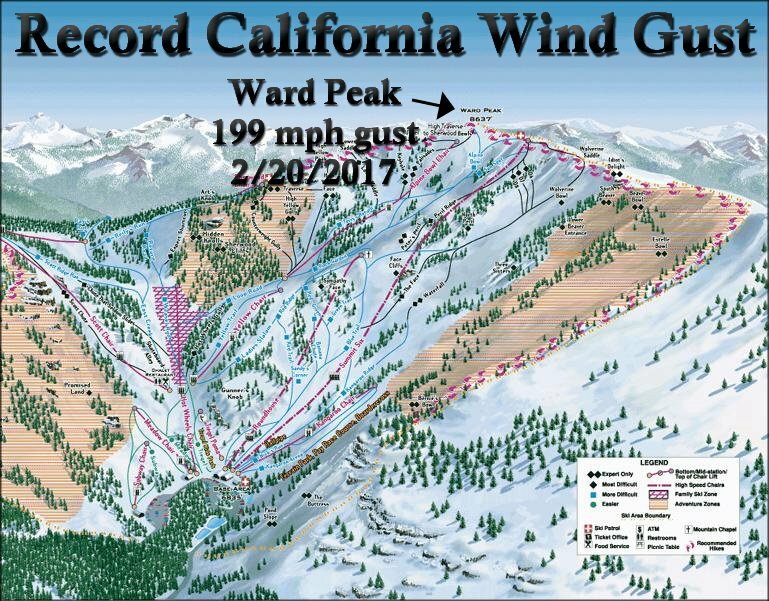 Record wind gust of 199 mph at Ward Peak, Alpine Meadows, CA, Feb 20, 2017. I like the ‘Wendy” version from ‘Breaking Bad’. It’s a crack-up. What most don’t know is that wind force is derived from the *square* of its speed. 140 vs 170MPH winds might sound like they’re the same in intensity. The latter delivers almost 50% (almost exactly) more pounds per square inch. This gusty new world is going to have some surprises. “…Wind farms are key to tackling climate change but warming will significantly cut the power of the wind across northern mid-latitudes, including the US, the UK and the Mediterranean, according to new research. However, some places, including eastern Australia, will see winds pick up. …“We found some substantial changes in wind energy,” said Kristopher Karnauskas at the University of Colorado Boulder, US. “But it does not mean we should not invest in wind power.” It does mean such changes need to be taken into account in planning future wind farms, he said, and also in assessing how much wind farms overall can cut global emissions…. Good news source from South Africa, for anyone interested in keeping track of the Cape Town H2O crisis. “… The tax windfall helped Exxon’s (XOM) net profits surge fivefold, the world’s largest publicly traded oil company said on Friday. Excluding the tax bonanza, Exxon’s results left Wall Street wanting more. Adjusted earnings unexpectedly declined and revenue missed the mark by a wide margin. Exxon shares slumped about 5%. One problem: Exxon isn’t pumping as much oil as it used to following years of budget cuts forced by the crash in crude prices. The company’s overall production dropped 3% in 2017. CEO Darren Woods said the tax overhaul “strengthens our commitment to further grow our business” in the United States. Exxon promised this week to invest more than $50 billion in the U.S. over the next five years, a move that the company said will create “thousands of jobs” and boost the economy. Specifically, Exxon said it plans to invest “billions of dollars to increase oil production in the Permian Basin” of West Texas and New Mexico, expand existing operations, enhance infrastructure and build new manufacturing sites. ^^^As expected from the moment Tillerson was selected. Mike Farb, ‘unhackthevote’: was Nunes hacked?! “In May of 2017 vulnerabilities were discovered on one of Devin Nunes’ campaign websites. The campaign website devinnunes.net had apparently been infected with a virus that caused some internal pages to be indexed by Google, in Russian. The full report on this discovery is here: https://www.slickrockweb.com/devin-nunes-russian-cyberattack-problem.php. The author of the report notified the Nunes campaign of these vulnerabilities on May 19, 2017. Shortly thereafter, it seemed as if the problem had been resolved. The url devinnunes.net was redirected to SquareSpace, here: devinnunes.com. The devinnunes.net site was apparently gone. Did Nunes’s emails get hacked? Did his address book get hacked? Were emails then sent out to other GOP in a Spear Phishing campaign, being that Nunes was a trusted contact to these people? The damage that could have occurred as this spread is deeply concerning. The continued existence of this file brings up some serious questions. How could this have happened to Devin Nunes’ campaign website? Who was managing this site? Why did the malicious code stay in place, nearly nine months after it was reported to the campaign? To answer these questions we dug even deeper. We had a look at the computer hosting the devinnunes.net website. Its IP address comes back to an Microsoft Azure server. Who controls this server? What else is hosted there? This is what we found. North Star Campaigns? Drink Stocks? Who are these people? What do they have to do with Devin Nunes? 50th anniversary of the publication of ‘Desert Solataire’. Long piece, worth reading. ‘Desert Solataire’ is also worth reading, well worth it. ‘Monkey Wrench Gang’, too; Abbey’s spanner-in-the-works novel that inspired Earth First. ‘Solitaire’, not ‘Solataire’. Got “Solar” on the mind. 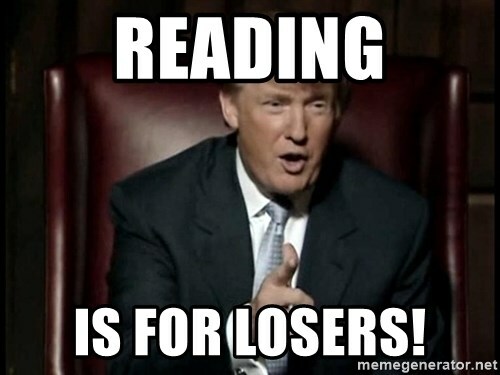 I can’t help thinking that “President Trump, Please Read” might be a more practical suggestion . .
Another large coal generating plant to close in the UK. Eggborough near Selby in Yorkshire will close September 2018 after losing out in a capacity auction. They are mainly losing to gas generating plant although some battery back-up get contracts for first time. The closure of Eggborough will leave the UK with just seven coal-fired power plants: Drax, Cottam, West Burton, Fiddlers Ferry, Aberthaw, Uskmouth, and Ratcliffe-on-Soar. It’s not the final blow for coal, but it’s a step in the right direction. Kilroot in Northern Ireland, also coal fired station, lost out in the Irish capacity auction and will close soon. The older coal power stations have become uneconomic. So this is a very positive trend. Lets hope it keeps picking up. “One of the UK’s eight remaining coal power stations is expected to cease generating electricity this year, the government has said as it laid out new rules that will force all the plants to close by 2025…. …However, the plan reveals the sector will continue to be propped up by hundreds of millions of pounds in backup power subsidies for several years, paid through consumer energy bills. Experts said allowing coal operators to continue receiving capacity market subsidies had thrown the sector an unnecessary lifeline. …Ministers will also retain emergency powers to suspend the phase-out in the case of an emergency shortfall in electricity supplies. …But officials said it was unlikely those powers would be called on, because the gap created by the coal plants’ closure would probably be filled by old gas power stations staying open longer. …The government rejected calls by campaigners and industry groups for the deadline of 2025 to be brought forward, citing cost and energy security grounds. It also rebuffed suggestions of a gradual phase-out before 2025, arguing coal use was low enough to make that unnecessary. Ursula K. Le Guin passed 10 daze ago. Touching rememberance by John Wray here. “Left Hand of Darkness”, “The Disposssed” and the Earthsea books are well-known; not as well remembered but a favourite here, “The Word For The World is Forest”, also a Hugo Award winner. 😦 So sad to hear this. Earthsea was one of my favorite series as a kid. She was a feminist/environmentalist pioneer with an extremely sharp wit who will be sorely, sorely missed. Yes. I’d figured you liked her, too. Great writer; great person. Here’s Wray’s 2013 Paris Review interview with Ursula. “…Already much of Kutubdia (Bangladesh) has been swallowed by rising seas, leaving countless families with nothing. Nurul Haque, a farmer who lost all his land to the ocean, told me that he may have to pull his daughter, Munni Akter, 13, out of eighth grade and marry her off to an older man looking for a second or third wife, because he has few financial options left to support her. This made me think of Tangier Island in the Chesapeake Bay. Discussion a week from Sunday; $20 admission. Avalon Theatre, Easton, MD. “In the middle of the Chesapeake Bay, there are two islands steeped in history, tradition and the Eastern Shore way of life. Smith Island and Tangier Island, home of generations of watermen and the famous Smith Island Cake, are faced with being washed away by the very Bay that shaped that lifestyle. Within a matter of decades, these islands, along with their culture, could vanish. In an effort to better understand the future of the islands, the Upstream Alliance, Salisbury University Environmental Studies Program and the Chesapeake Bay Maritime Museum will host “Disappearing Islands: A Culture at Risk,” a discussion about the impact of rising seas levels and increased erosion on Tangier and Smith islands. “….One photo …. captured the cover sheet of a confidential “action plan” that Mr. Murray brought to the meeting last March calling for policy and regulatory changes friendly to the coal industry…..
…The meeting started, the complaint said, with Mr. Perry giving Mr. Murray “a deep bear hug.” Once they got down to business, Mr. Murray presented the memo. “This needs to be done,” the complaint says Mr. Murray insisted. Mr. Perry replied, “I think we can help you with this,” according to the complaint. “…In a surprise statement, a senior government official said hydropower policy needed to be rethought in the face of environmental concerns, indigenous sensitivities and public unease. ” – Cacao plants are under threat of devastation thanks to warmer temperatures and dryer weather conditions. – Scientists at the University of California are teaming up with Mars company to try to save the crop before it’s too late. – They’re exploring the possibility of using the gene-editing technology CRISPR to make crops that can survive the new challenges. … Cacao plants occupy a precarious position on the globe. They can only grow within a narrow strip of rainforested land roughly 20 degrees north and south of the equator, where temperature, rain, and humidity all stay relatively constant throughout the year. Over half of the world’s chocolate now comes from just two countries in West Africa — Côte d’Ivoire and Ghana. 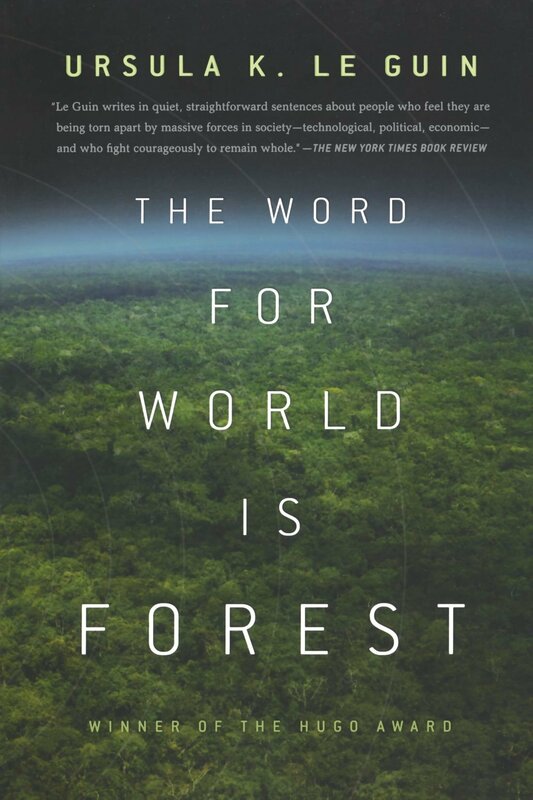 With Ursula and “Word for the World is Forest” in mind, highly recommending this book. It’s retails at $40. Check for it at your local library, and if they don’t have it, put in a purchase request (if your library offers that option). “…What would it be like to step out into a forest and look around without epistemology? Instead of looking for what it all means, we might just see, a little more clearly, the world for what it is. …a testament to just this kind of looking and seeing. From soaring heights up above the tree canopy down to the finest filigree of a root stem, and all the connective tissue in between, biologist Joan Maloof and photographer Robert Llewellyn take us on an adventure into the biosphere we call home. 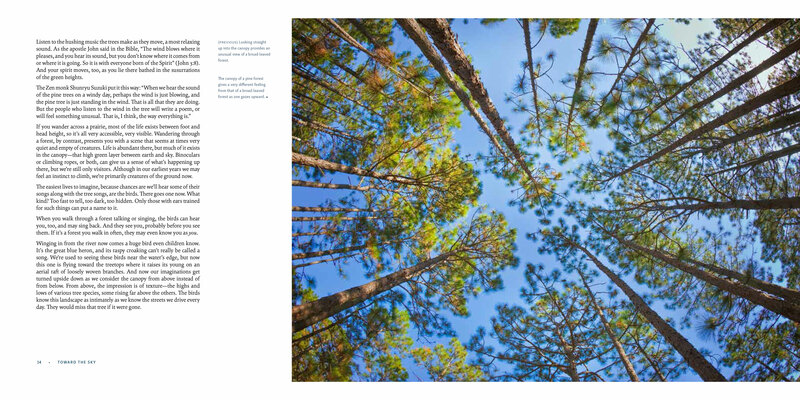 With precise, stunning photographs and a distinctly literary narrative that tells the story of the forest ecosystem along the way, The Living Forest is an invitation to join in the eloquence of seeing. Will you have next weeks data to show how this plays out? I hope it will provide a teaching tool for our elected leaders. Kurt, I watched it happen. Melting temps reached past Svalbard close to the pole. Robert, thanks for hipping us to the scene.